3 How does ChexSystems work? 4 How long does it take to get out of ChexSystems? 5 How long does ChexSystems stay on your record? 6 How can I get my free ChexSystems report? ChexSystems works for banks and credit unions much like the credit bureaus: Equifax, Experian, and TransUnion. ChexSystems helps banks decide whether or not to open a checking account for a new customer. However, there are some differences in the way they maintain and report data. 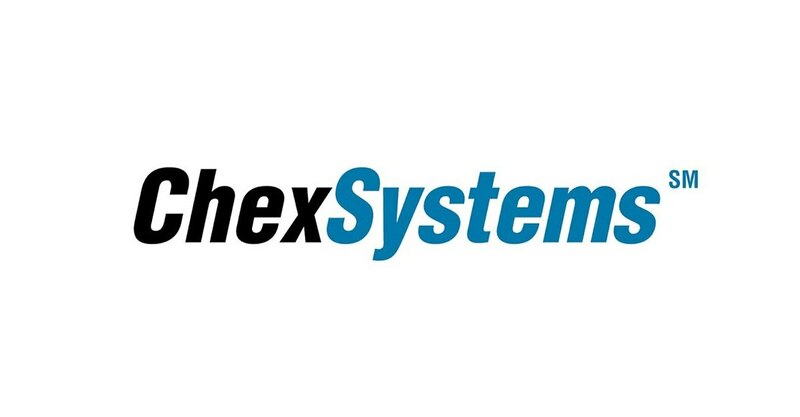 ChexSystems does not make any decisions regarding whether or not an account is opened for you. That choice depends solely on the bank or credit union that you decide to work with, but not all banks use ChexSystems. ChexSystems is a consumer reporting agency, and as such, is governed by the Fair Credit Reporting Act (FCRA) and other laws enforced by the Federal Trade Commission. This means you have access to your ChexSystems report in much the same manner as you can access the credit reports from the three major credit bureaus. If you’ve had problems opening a bank account, it may be wise for you to order your ChexSystems report to see what’s listed. If you’ve had an account closed due to non-sufficient funds (NSF), excessive overdrafts (OD), suspected fraud, or other issues, you may have problems opening another checking or savings account at a later time. In particular, problems arise when your account is closed and you still owe the bank fees either for overdraft or other services. Even if you currently have funds available to open an account, most credit unions and banks will refuse to establish an account for individuals who have had these types of problems in the past. Banks rely on ChexSystems to provide information about individuals who have had problems with insufficient funds in the past. It works much like being denied for a credit card due to past credit history. Even if your current situation has improved, you may be denied a bank account based upon your past banking history. ChexSystems keeps track of bank accounts that have been closed for particular issues. More than 90% of banks and credit unions in the U.S. use ChexSystems as part of the application process for a new checking or savings account. Multiple bounced checks in a short amount of time. False information provided on the account. Nonpayment of insufficient funds or overdraft. Abuse of a savings account, debit card, or ATM transactions. This is by no means an exhaustive list, and ChexSystems may include your closed account for another reason other than what is listed here. Each time you have an account closed for one of the reasons listed above, ChexSystems keeps track of it in their database. How long does it take to get out of ChexSystems? The information stays on file for five full years from the date the account was closed. This may seem similar to a credit score, but ChexSystems is an entirely different scoring process. ChexSystems scoring ranges between 100 and 899. The higher the score the better. Interestingly, you can have a poor ChexSystems rating while having a perfectly fine credit score, and vice versa. They’re completely different measures of your financial history, with the information being used in very different situations. How long does ChexSystems stay on your record? Even if you later pay off the overdraft you owe to the bank, the fact the account was closed with money owing will remain on your ChexSystems record. While ChexSystems will update a paid overdraft, they will not remove the record from their system until after the five-year period. However, they will remove it if there is evidence the account was listed improperly (i.e. the account is not yours, or was created fraudulently as a result of identity theft). Many banks who participate in the ChexSystems program will not open an account for an individual who has one or more incidents listed on their ChexSystems report. This is why you will have problems opening an account if you’ve had one closed for non-sufficient funds in the past. If you’re denied a bank account due to your ChexSystems report, you are entitled to a free report within 60 days of being denied; the same as if you’ve been denied credit due to information on your credit report. How can I get my free ChexSystems report? The way to get your hands on this report is to order it directly online from the ChexSystems website itself. If you find any inaccurate information you can dispute it in much the same way that you can dispute inaccuracies on your credit report. You may also place a statement on your ChexSystems report for any negative item is listed. You can use this statement to explain any particular circumstances surrounding why an account was closed, such as disputed fees or other issues. While most banks do use ChexSystems, it’s possible to find banks that don’t. Some banks don’t check your records at all. However, they may check your credit report, so it’s important to understand what’s on there as well. They might also review any records you have in the Early Warning System (EWS) or Telecheck Data. Some banks that use ChexSystems also offer “second chance banking” to individuals with only one or two incidents on their report. While they do use ChexSystems, it doesn’t mean an automatic denial of your account application. You can expect these accounts to have limits on how much money you can withdraw and/or a minimum balance requirement. You might also hear this type of account called a “fresh start” account. To improve your chances of getting approved for either a 2nd chance checking or non-ChexSystems account, consider forgoing the option overdraft protection. Many people’s previous trouble is not paying their overdraft fees. If you don’t get overdraft protection, the bank doesn’t risk losing money on your account. You’ll just need to be extra careful in tracking your spending so that your debit card isn’t denied at the register for insufficient funds. Check out our list of No ChexSystems and Second Chance Banks. If you have a steady income, you may be able to get a checking account at a bank or credit union if you are willing to sign up for direct deposit of your check. By having direct deposit, the bank may be more willing to work with you regardless of your past ChexSystems problems. If you know you have problems with your ChexSystems record, it’s in your best interests to find out the bank’s policies beforehand. This is because some banks will open an account for you and check the ChexSystems report after the account has been opened. If problems are found your account will be closed, and your initial deposit will be given back to you. This means you may be without your initial deposit for some weeks as the bank usually mails a check when they close an account and don’t issue a direct refund. If you can’t find an account that works for you, there are some other avenues you may be able to explore. Some companies offer prepaid debit cards, which allow you to load your funds onto the card and use it to make payments. Essentially, these types of accounts work like a checking account without the ability to write checks. In some instances, they even have online bill pay to allow you to still meet your financial obligations without a checking account. However, it’s important to read the terms and conditions to be sure you aren’t being overcharged for the use of the card as some of them can charge up to $1 or more per transaction. The bottom line is, while ChexSystems does not directly recommend whether or not you can open a new checking account, the information provided by them can and will affect your ability to obtain one in the future. Your best options, if you’ve had an account closed due to non-sufficient funds in the past, is to be aware of the issue and look for banks that will accept your hard-earned money despite your past problems. Keeping track of your ChexSystems report should be a part of your overall credit maintenance. Just as you keep track of what the three major credit bureaus have listed on your credit report, your ChexSystems report should also be examined for any errors regularly. Doing so can save you a lot of hassle if you ever need to open a new bank account in the future.